Flackable is a modern take on the “flack” of yesterday. We recognize that the traditional public relations model is antiquated and unfit to properly serve RIAs and other financial services firms in the New Media Age. Our clients want more than a press and content machine; they want a strategic partner to help them thrive in a rapidly evolving business communication landscape. Flackable fills that void with our innovative and disruptive public relations model tailored to meet the unique goals and dreams of our clients. 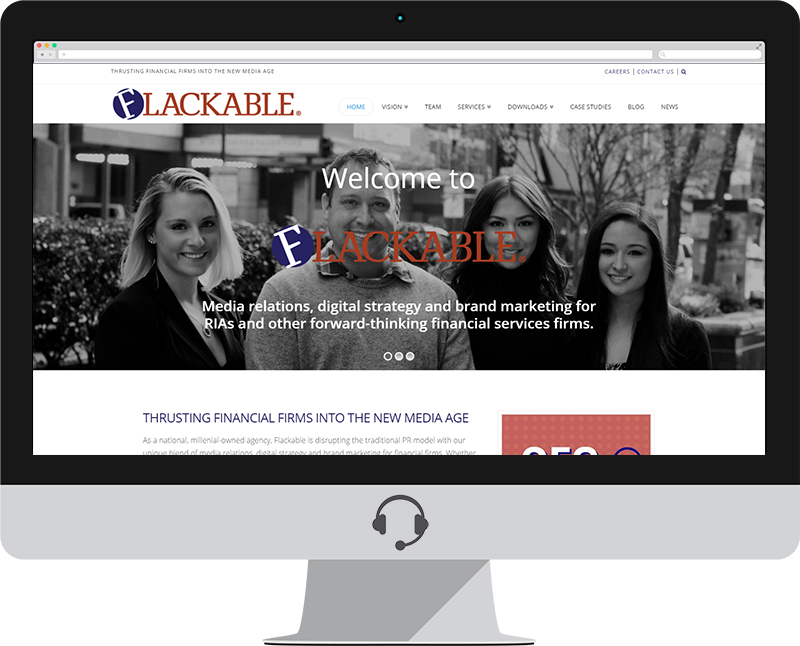 As a national, millenial-owned agency, Flackable is disrupting the traditional PR model with our unique blend of media relations, digital strategy and brand marketing for financial firms. Whether you want to expand your brand’s visibility, amplify your message or dive into the digital space, our forward-thinking approach and ongoing communication counsel will help your business engage key audiences and open new sales pipelines.